Digital Ultrasonography: We utilize the latest in ultrasound technology to evaluate soft tissues like tendons and ligaments, reproductive organs, and other internal organs. Digital Radiography: Our state-of-the-art Eklin digital radiography system is used to visualize bone for abnormalities including arthritic changes, fractures, osteochondrosis lesions (OCD), bone cysts, and bone infection. Our unit is capable of providing digital images within seconds. These images are viewed on a computer screen and can be enlarged and manipulated to see subtle changes often not visible on conventional radiographs. In-house Laboratory: We utilize in-house CBC, serum chemistry, urinalysis, and blood electrolyte equipment for rapid results and diagnostics. Bacterial cultures and cytology may also be performed in our laboratory. Arthroscopy: This equipment utilizes a scope to visualize the inside of joints and facilitate the removal of bone chips, fractures, and OCD fragments. Endoscopy: This is a fiber optic device for visualizing internal structures. It is most often used for evaluating the upper airway of the horse, including the nasal passages, larynx, and guttural pouches. The trachea and upper esophagus can also be examined with this flexible device. It is most often used in the diagnosis of upper airway abnormalities such as laryngeal hemiplegia ("roarers"), epiglottic entrapment, and dorsal displacement of the soft palate. 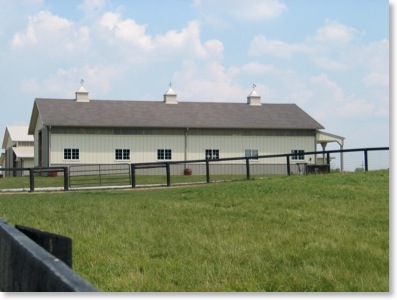 Equine Surgical Suite: Our state-of the-art equine surgical suite provides a facility for the performance of advanced surgical procedures with intravenous and/or gas anesthesia. Tonometry: This specialized ophthalmic instrument measures the intraocular pressure of the eye and is useful in detecting and monitoring glaucoma and uveitis. Low Level Laser Therapy: The Respond 2400XL therapeutic laser has a variety of clinical effects, including improved wound healing, increased blood flow, reduction in swelling, and improved pain relief. Equine clinical applications include treatment of tendon and ligament injuries, muscle soreness and back pain, arthritis, soft tissue trauma, and non-healing wounds. This is a well-researched and safe treatment modality with no known adverse side effects.